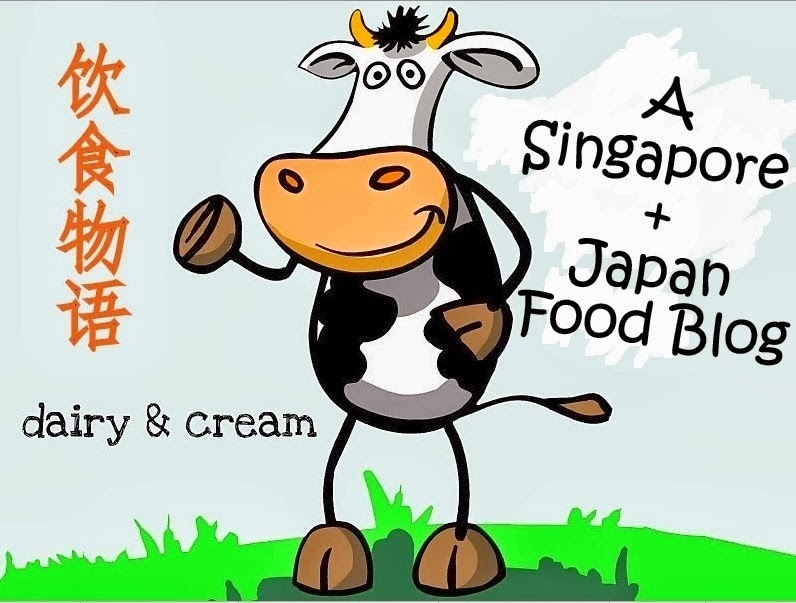 Singapore Japan Food Blog : Dairy and Cream: DB Bistro Moderne : Back for Desserts! If you are thinking that the desserts here are over-priced or belong to the atas petite sized kinds that are gone in less than 3 big mouthfuls, then you might be interested to pop by here to have a look. Out from the menu is the old Apricot Vanilla Souffle. The new angmoh pastry chef Benjamin Siwek has gone local to come up with this "Royale" Durian Soufflé ($15). This is by far, a soufflé with the most character. The fluffy mixture seems insubstantial as one digs a spoon in but the flavour fills up the mouth just like HD surround sound system echoing in every space. The queen fruit, mangosteen, was turned into a sorbet to accompany the durian but I was too busy with the soufflé. The peculiar thing is that the chocolate dessert here did not make a show. The Milk Chocolate Mousse with Peanut Brittle and Banana Ice Cream($15)did not have multiple textures even though it sounds crunchy. The base sat a rather dry brownie-like cake layer which did not help to score points. Another Southeast Asian inspired dessert was the Jackfruit Verrine ($15) which caused everyone's face to cringe with an extremely sour Lime Sherbet. But once you mixed it with the Coconut Tapioca and Palm Sugar, it all went down sweetly. This was another satisfying experience and I am looking forward to the new items for the next season! And last but not least, I am grateful for the complimentary treat of db's (or aka da Bomb!!) Madeleines, which are still as light as those on my previous visit. They might be rustic bakes but once you try these, it will be difficult to find a better one!